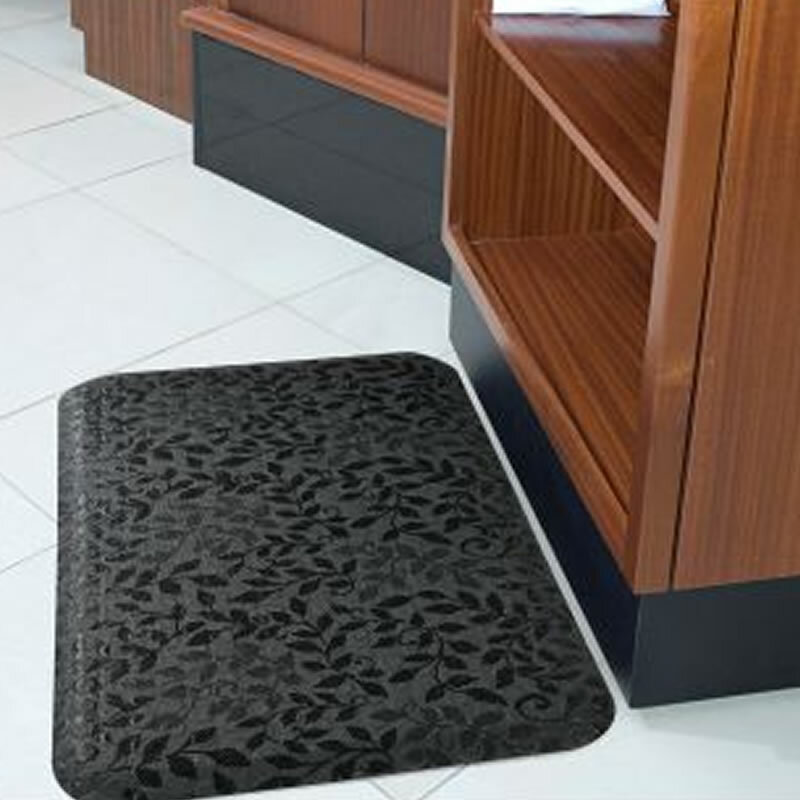 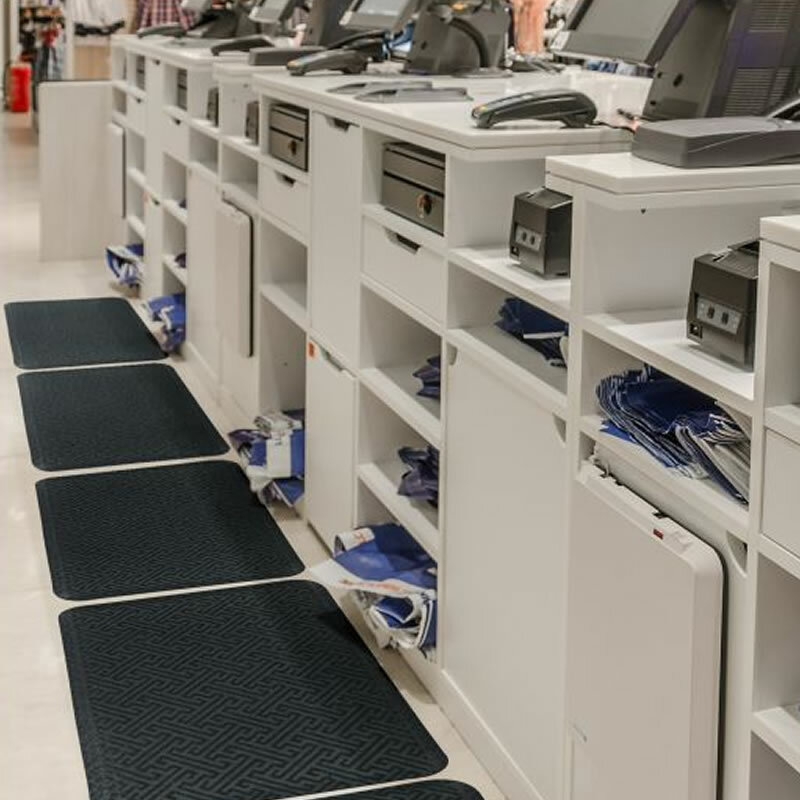 Stylishly attractive yet incredibly comfortable, Hog Heaven Prime Décor anti-fatigue mats strike the perfect balance between functional and elegant. 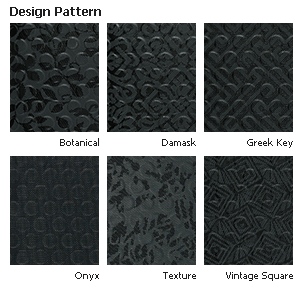 • Six fashionable black and grey color schemes compliment all décors. • For indoor use, the durable woven PVC surface is stain resistant, high heel safe and easy to clean. 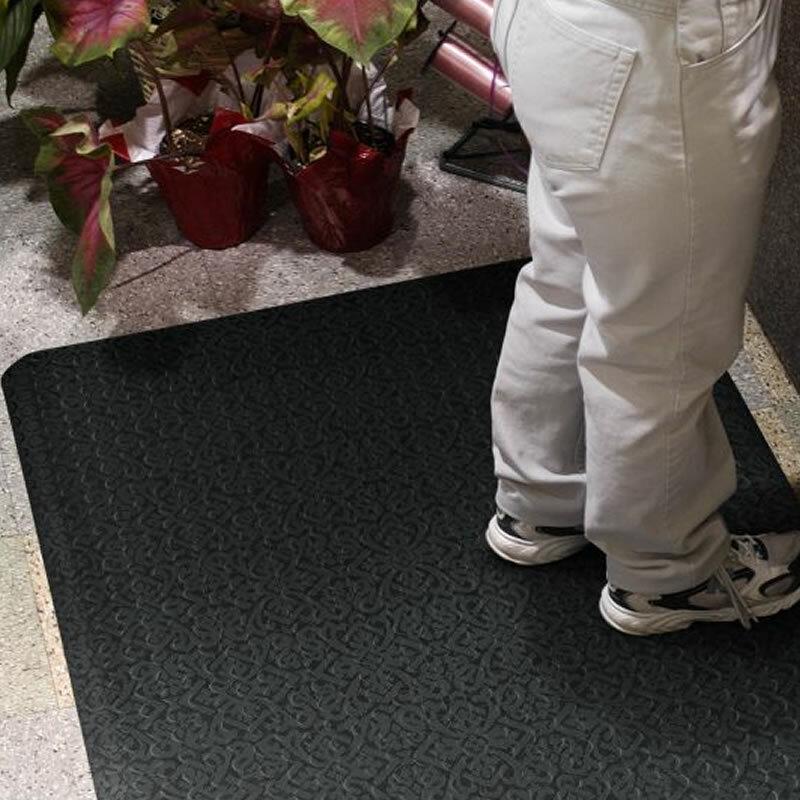 • Beveled border with edge to edge cushioning targets pain and tension in the lower back, knees, calves and feet. 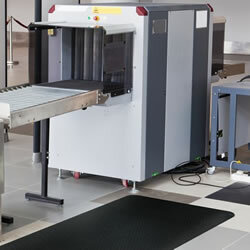 • Rubber grippers in the backside of the mat prevent it from moving, sliding, bunching or curling—so it stays in place. • Recommended applications include distribution, light manufacturing, work stations, check out stations, retail, healthcare, hospitality and education environments.